Ambey Eco Valley in New Town, Kolkata East by Ambey Group Builders is a residential project. The size of the Apartment ranges in between 882.0 sq.ft. and 1291.0 sq.ft. The size of the Studio Apartment ranges from 615.0 sq.ft. to 748.0 sq.ft. Ambey Eco Valley price ranges from 39.30 Lacs to 55.51 Lacs. Ambey Eco Valley offers facilities such as Gymnasium and Lift. This is a RERA registered project with registration number HIRA/P/NOR/2018/000069. It is an under construction project with possession offered in Mar, 2021. The project is spread over a total area of 0.71 acres of land. It has 61% of open space. Ambey Eco Valley has a total of 1 towers. The construction is of 10 floors. An accommodation of 80 units has been provided. Ambey Eco Valley brochure is also available for easy reference. Where is Ambey Eco Valley located? New Town, a prime residential locality for house seekers in Kolkata East. What is available flat size in Ambey Eco Valley? Flat sizes in the project range from 882.0 sqft to 1291.0 sqft. 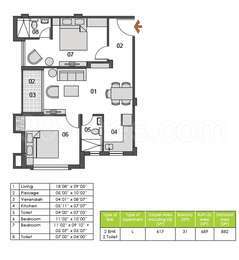 What is the area of 2 bhk in Ambey Eco Valley? The size of a 2BHK unit in the project ranges from 882.0 sqft to 1002.0 sqft. 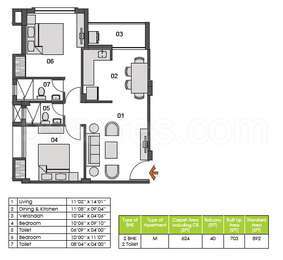 What is size of 3 bhk in Ambey Eco Valley? 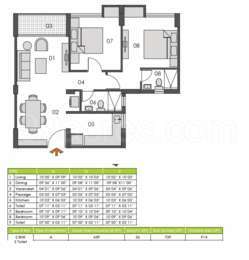 The area of 3 BHK apartments ranges from 1268.0 sqft to 1291.0 sqft. What is the area of Ambey Eco Valley?The total area that the project occupies is 0.71 Acres. When is the expected completion date of Ambey Eco Valley?The project completion timeline has been set at Mar 2021.
been associated with the development of several landmark real estate projects across various locations of Kolkata and Jamshedpur. The Group?s first project New Town Metro Plaza gave birth to a new concoville living experience. The organisation that stands for Customer satisfaction, Township development, Commercial projects etc, the Group aims to develop all kinds of projects so that they can equally reach out to all segments of people. Gradually the Group has been able to transform each project site into the most attractive landmark by offering contemporary and modern amenities. With the list of successful projects like Ambey Plaza at Dunlop, Ambey Garden at Bangalaxmi Abasan on Rajarhat Express Main Road, Ambey Enclave at Jatragachi, Ambey Vista at Bangalaxmi, Ambey Residency at Chinar Park, Ambey Efficiency near New Town Action Area and many more, Ambey Group caters to the needs of all segments, i.e. Executives, Businessmen and Professionals, and feels happy to see the smiles on the faces of families living in. The first project on Rajarhat Express Road, New Town Metro Plaza was developed by this group on the theme of Community feeling in this area of New Town, even when the VIP ? New Town road was not yet planned. 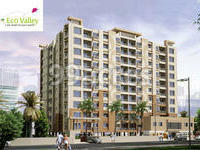 Subsequently, after a short time, the project Ambey Plaza came into operation. Located at Dunlop, it was designed and developed as a value for money project and was very successful in terms of timely completion and happy living. Bangalaxmi Abasan is a premium Residential Township on Rajat Express Main Road, Project Ambey Garden at Bangalaxmi Abasan was the first Residential Complex project and was the first of its kind in that area. Equal opportunities for all is also the primary objective of the group so they customized the project according to the demand of the market and the financial constraints. Ambey Villa at Dashodran is therefore developed with the vision to provide affordable housing. On the other hand, Ambey Enclave at Jatragachhi was the first project in that locality for the young professionals and was mostly occupied by the executives working in the IT sector. The project was built around the verdant green landscape inside the complex, so is the project Ambey Awas at Bangalaxmi, the luxurious apartments designed with the view to provide adequate space between each apartment block and the green surroundings for a perfect work-life balance. The trail of success continued and soon the group completed its premium project Ambey Vista...coupled with all the modern facilities and neighbourhood feeling. Inspired by the huge recognition and appreciation, the group is ready to take off to and spread its wings of glory with the new project at Salua near Rajarhat Express Road ? Ambey Florence ? a mixed-use development with all facilities and a convenient location. Ambey Residency at Chinar Park Ambey Regent at Jatragachi, New Town, are both developed as integrated projects based on the theme of living within the city and out of the city. The projects are having all contemporary amenities and very close to nature. Ongoing projects their constructions are moving in full swing like Ambey Vatika in the locality of Bangalaxmi Ambey Niketan at Salua ? both are near to the Rajarhat Main Road.